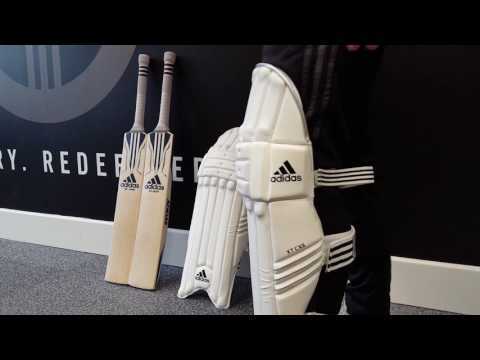 Buy Adidas XT CX11 Batting Pads,lightweight pads,new for 2017. Traditional Look 3 Piece Knee Roll, with cotton filled protection. Low Density Foam filled side wings for better side protection. Bamboo with Foam combo - for maximum protection and lightweight feel. Very Lightweight construction - approx. 651g per pad! Where contemporary meets traditional, the new Adidas XT CX11 Batting Pads are a unique combo of bamboo with foam: with very lightweight High Density Foam, Low Density Foam (on the side wings) and vertical caned protection, which all combine to give a lightweight feel and the best protection.